Toddlers are constantly moving and playing with something —whether they should or not. Sometimes finding kid-friendly activities to entertain and teach the youngest ones can be difficult. We put together a list of kid friendly activities for toddlers in Cincinnati designed to let toddlers play, move, develop and learn. Through sports, art, music, stories, or even just structured play, your child can begin learning at a very early age. Take a look at our list of activities for toddlers in Cincinnati and let us know if your favorite class is on here, or let us know if we missed it! YogahOMe offers classes from Tippi Toes Dance Company for children as young as 18 months. The classes are designed to develop motor skills and body awareness and help develop the imagination, critical thinking, cognitive and creative skills. Classes include Mommy & Me, Baby Ballet, and Ballet, Tap, Jazz. Kindermusik offers classes for children up until age 3 that help with language, vocal, cognitive, social emotional, and musical development as well as fine and gross motor skills. There are multiple studios in the Cincinnati area serving Northern Kentucky, Northern Cincinnati and Eastern Cincinnati. Visit their website to find a class and location near you. Little Songbird Music Studio, with locations in Florence and Cincinnati, specializes in music education for babies, toddlers, and preschoolers and offers classes for children up through age 9 and their parents. A popular offering is the Musikgarten curriculum, which is a holistic approach to teaching music to children. Visit www.littlesongbirdmusic.com for a complete listing of classes. Bee Active offers gymnastics classes for children as young as 18 months old and focuses on flexibility, strength, coordination and basic gymnastics moves. Open recreation time is available in the gymnastics center, rock climbing wall and adventure zone. Brazee Street Studios in Oakley offers a variety of story time activities for children ages 3-6 each month. Story times include reading a story and creating a piece of fused glass art that aligns with the stories theme. The Cincinnati Sports Club offers swim and dance lessons for children aged 3 and older and tumbling lessons for children as young as 10 months. Foster a love of music and dance in even your youngest children through CCM Prep. 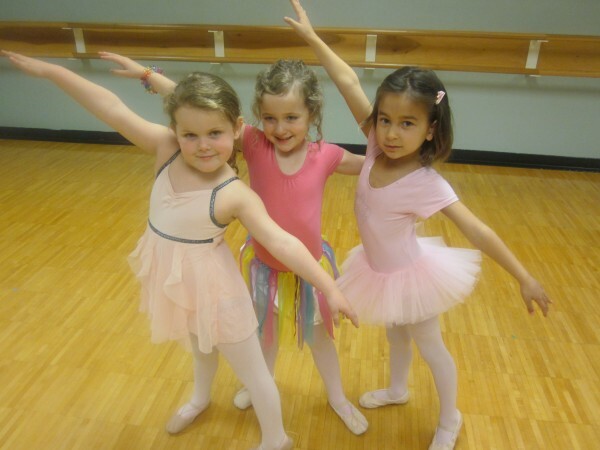 Primary Ballet classes for children ages 3-5 teach movement exploration and working with props. Family music classes are offered at the Blue Ash campus for toddlers 18 months to 3 years old. They learn rhythm and tonal patterns through singing, playing instruments and playing with each other. The Cincinnati Museum Center has tons to offer your little ones. Whether you explore the museum on your own or join one of the experiences geared towards toddlers, you’re sure to have fun! Lil’ Kickers is a non-competitive, introductory soccer and movement skills program for boys and girls ages 18 months through 9 years. The Little Gym offers parent and child classes beginning with infants 4 months old. Get your child moving and help introduce them to colors, language development and more. Gymnastics, dance and sports classes are available without mom and dad for kids 3 and up. The Mayerson JCC offers a variety of classes for children 5 and younger. From dance to sports to cooking, girls clubs, boys clubs and Baby & Me classes there’s something for a child of any age. Details are available on the website. Mercy Health wants to help you make sure your child grows up strong and healthy. They offer KidsFit classes for toddlers and children including dance, gymnastics and karate. The Music Factory provides music education for children 6 months – 5 years at your day care and preschool! A musical background is an important building block that is influential in a child’s development. Their 30 minute award-winning classes lay a musical foundation through seasonal activities, creative movement, singing, and use of rhythm instruments. This musical environment also enhances listening, language development, and gross motor skills. Gymboree offers classes to help you and your child build creativity, confidence and friendships. The Play & Learn, Music, Art, Sports and Family classes are designed to help your child learn through play. The Cincinnati Art Museum offers monthly events for you and your toddler to enjoy. Storytelling, tours and more teach your child the joys of art from an early age. Programs include Culture kids, Art in the Making, and Wee Wednesdays. Check out the schedule for more information. The Cincinnati Family Enrichment Center offers classes and free play time for your toddler. Classes offered include music, movement, development and more. Visit their website to learn more about classes and the Play Cafe. Children in a class at the Cincinnati Family Enrichment Center. Nature Story Time with Imago! Check out their calendar for information about all of their activities. Public Libraries are great places to take toddlers for story time and play time. Check out your local library’s calendar to see what they have available. Don’t forget that Little Songbird Music Studio in both Florence and Cincinnati offers music classes for children 0-9! http://www.LittleSongbirdMusic.com. Children have an amazing time in these classes and learn music the same way they learn language!